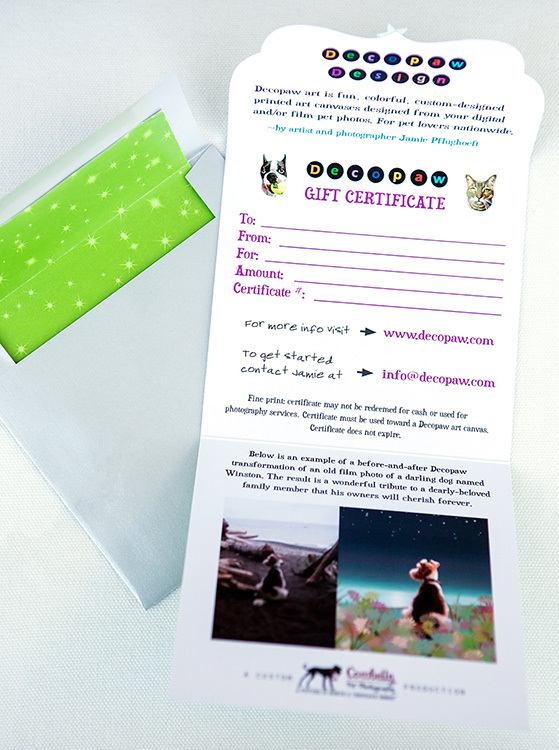 Super cute little tri-fold 5×5 gift certificates for custom modern Decopaw Design art, available in any denomination. Email me at info@cowbelly.com to purchase! Are you still looking for the perfect gift for that super special person in your life? Is your boyfriend/girlfriend/husband/wife madly in love with their dog/cat? 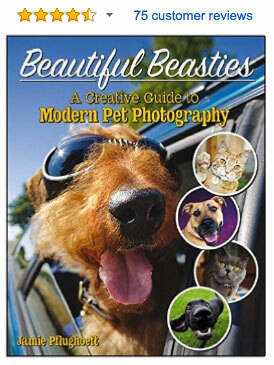 Or did you lose a beloved pet too early to get professional photos made of them? 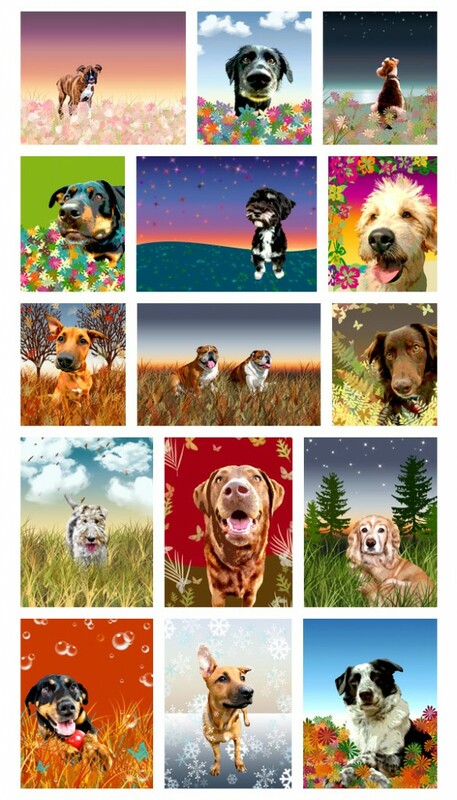 Custom-designed Decopaw art makes the perfect gift for that very special pet lover in your life. I design each canvas piece to their own desires and specifications, referring to a fun questionnaire I have each pet owner complete. The gift cards are a little gift in and of themselves, arriving in an adorable silver envelope with custom liner. 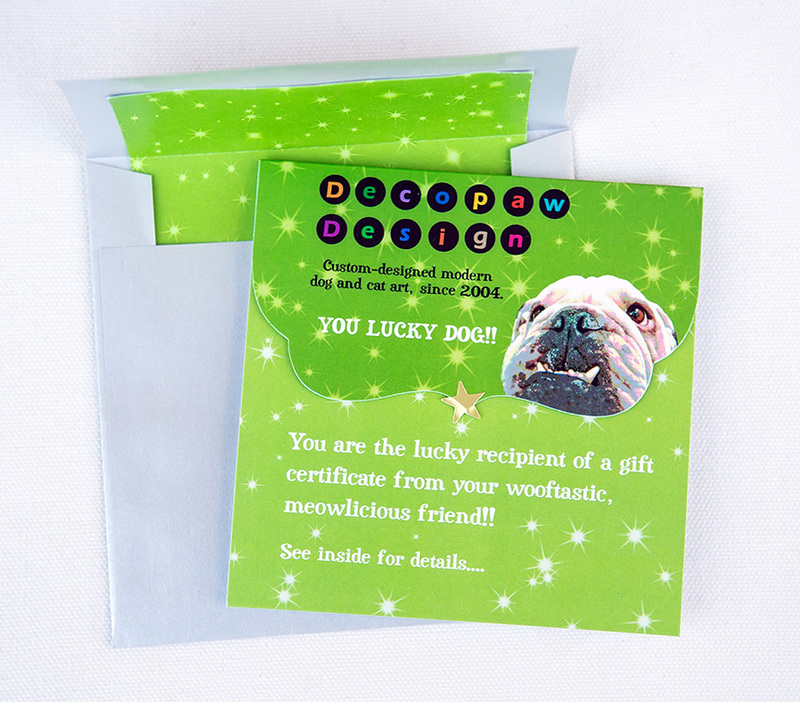 More information + pricing can be found on the Decopaw Design website. Interested in buying a gift certificate for that special someone? Please email me at info@cowbelly.com and let me know what you’d like to get and we’ll get the ball rolling!